these are a wonderfully rich treat. they’re best consumed with a glass of milk. remove 1 cup of the chocolate batter. spread the remaining batter into the prepared pan. spread the peanut butter filling over the top drop the reserved chocolate batter by the teaspoonful over the filling. 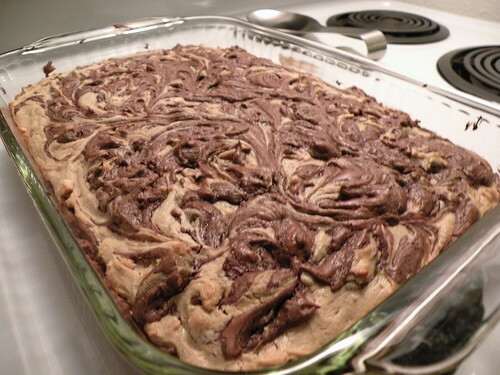 using a knife, gently swirl through the top layers for a marbled effect.